Hey guys, iIREALLY need some help! Hey guys, I REALLY need some help! Is anyone here really good with social networking for a charity organization? I need help marketing my #Indiegogo campaign and I simply do not have the time. I can offer readings, wands or crystals as payment, but cannot afford cash right now. I need at least 3-5 people to help me out. Also, donations are greatly appreciated. Time is of the essence & your donations are going to an amazing cause! LOVE YOU ALL & THANKS! Help me Launch Healing with Beats!! Healing with Beats is a program for children in need. The program offers healing "pow-wow's" that are based on creating DIY instruments & music healing! I finally finished my Indiegogo Campaign... Its up now! Help me heal the youth... one beat at a time. hi, im stasha~ im a 33 y/o single mom from california. i started "Healing with Beats" to offer vibration, sound and musical healing to children all across the world. into fun little healing"pow-wow's"for children in need. Healing with Beats will teach the benefits of sound healing so that they will not only be able to heal themselves, but also their friends and family. *PROCEEDS FROM DVD SALES WILL GO DIRECTLY BACK TO THE CHARITIES & GROUPS THAT ARE INVOLVED! **PROCEEDS FROM THE CD SALES WILL GO DIRECTLY BACK TO HEALING WITH BEATS TO KEEP THE PROJECT GOING! This is something that only few people know and I struggle with every single day. The reason I wanted to speak up and out about this was due to the cobra report that I just read. I would like to speak on behalf of those of us who do not subscribe to the Rockefeller Rothschild agenda. Now, I always knew that there was an abundance of shady things going on here... but what I read tonight just made me angry. I try very, very hard to let these things slip past me. Observe the negativity, understand that it has its place... and try to appreciate and thank these lower activities for teaching me how NOT to be. However, what many people do not realize is that there are people like myself who never even knew that they were a part of this family. After being stalked and harassed and persuaded to initiate into their factions throughout my entire life, but never being told the whole truth, I went on my own journey. But the Virgo in me... well, we like to leave no stone unturned. Thanks to the internet and ebay. I was able to fill in the gaps of many missing pieces. They may have been able to control most of the books and other publications over the past few decades, but I started to find bibles from the 1700's and History books and Theosophical texts that just showed up in my mail box. Everything they tried to hide... I uncovered. But where did the cover-up begin? 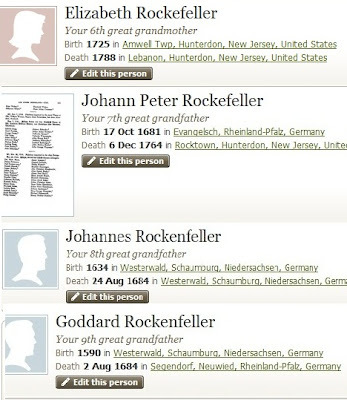 There are still many things unanswered... but it looks to me like they didn't like the mixture of Native American Blood being entered into our family line. My 7th Grandmother, Nanye Hi Fivekiller was known as the Ghiagu or "Beloved Woman" of the Cherokee and was literally one of the last women who was allowed power. I discovered this when I realized that many people knew of her as Nancy Ward... yes, related to most of the Wards you know of and also related to most of the Starr's you have read about, who also married into the line. 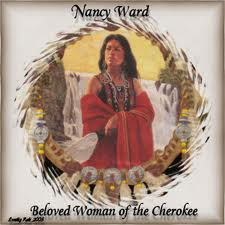 "Nanyehi (Cherokee: ᎾᏅᏰᎯ: "One who goes about"), known in English as Nancy Ward (ca. 1738–1822/1824) was a Ghigau, or Beloved Woman of the Cherokee Nation, which meant that she was allowed to sit in councils and to make decisions, along with the other Beloved Women, on pardons. She believed in peaceful coexistence with European-Americans." "Nancy's first husband was the Cherokee man Kingfisher. Nanyehi and Kingfisher fought side by side at the Battle of Taliwa against the Creeks in 1755. When he was killed, she took up his rifle and led the Cherokee to victory. This was the action which, at the age of 18, gave her the title of Ghigau." "In the Revolutionary War, Ward warned the whites of an impending attack by her cousin Dragging Canoe, an act that has made her a Patriot for the Daughters of the American Revolution and the Society of the Sons of the American Revolution. As a Ghigau, Nancy had the power to spare captives. In 1776, following a Cherokee attack on the Fort Watauga settlement on the Watauga River (at present day Elizabethton, Tennessee), she used that power to spare a Mrs. William (Lydia Russell) Bean, whom she took into her house and nursed back to health from injuries suffered in the battle. Mrs. Bean taught Nanyehi a new loom weaving technique, revolutionizing the Cherokee garments, which at the time were a combination of hides, hand-woven vegetal fiber cloth, and cloth bought from traders. But this weaving revolution also changed the roles of women in the Cherokee society, as they took on the weaving and left men to do the planting, which had traditionally been a woman's job. Mrs. Bean also rescued two of her dairy cows from the settlement, and brought them to Nanyehi. Nanyehi learned to raise the cattle and to eat dairy products, which would sustain the Cherokee when hunting was bad. The combination of loom weaving and dairy farming helped transform Cherokee society from a communal agricultural society into a society very similar to that of their European-American neighbors, with family plots and the need for ever-more labor. Nanyehi objected to the sale of Cherokee lands to whites, but her objections were largely ignored. In 1808 and again in 1817, the Women's Council came out in opposition to the sale of more and more land. "You know that women are always looked upon as nothing; but we are your mothers; you are our sons. Our cry is all for peace; let it continue. This peace must last forever. Let your women's sons be ours; our sons be yours. Let your women hear our words." An American observer said that her speech was very moving." 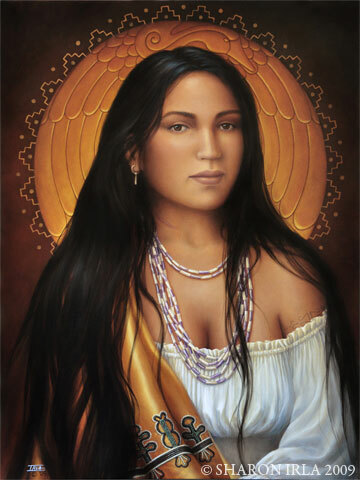 Nanye did everything she could to keep peace, but they simply did not want a woman to be in power, let alone a Native Woman... and it seems her power, along with her support and her STORY... were lost. Covered up... Forgotten. It was my discovery of her story that accelerated my awakening process and I have her to thank dearly. Contrary to what many may think, I have never seen a dime of any family fortune, nor have I ever done a ritual or controlled anyone in my life. In fact, I have struggled financially most of my life and no matter how hard I work, how much talent I have, or how positive I stay... when most would give up or give in. I have never faltered in my unshakable faith. I strongly believe that I have been the victim of psychic attacks and SEVERE "veiling" not to mention all the years of being called "crazy, bipolar, schizophrenic, put on laundry lists of medications, mental hospitals, (and this was before the age of 18) I firmly believe that because I did not play along with their dark agendas that I have paid for this my entire life. My immediate family and friends are all extremely loving, giving, talented and exceptional people, yet none of us have ever been remarkably successful. I have watched many others succeed with hidden agendas and minimal talent, vision, etc. While everyone around me struggles, This simply does not make sense. But now that I have read this report from Cobra I am convinced that I have been subjected to this torture from afar. Mind you... i will never say "victim" as I would never give away my power again. I have allowed others to tell me I am unworthy, selfish, talent-less, crazy, lazy, scattered, etc. for many many years. The past year I have completely isolated myself from most of the outside world, including romantic relationships and have had to go deep within my soul with no outside influences in order to know that this was truly what I was experiencing. I have always known deep down inside, but there was still a small part of me that believed that I was just paranoid. "On this night, June 18th, 2012. I, Stasha Colin declare that No being can take my energies, no being can create selfish pathways to me, all selfish pathway/s /attempts to me, are destroyed and reflected back to the sender, as very fast lessons-reflections, all of this is like that, forever, I am forever free from all negative beings' negative intentions, I am my own being, I am mine and mine alone, I AM. My energies are mine and mine alone to use and to command/enact, no other being can take them without my heart of hearts' consent, all energies stolen from me, are returned into me immediately upon recognition of foul play. I receive my energies from the one infinite creator, through all paths of least resistance, in the ways my heart of hearts agrees with. I only give my energies, of a loving and heart guided intent and way, all other ways, cannot exist and do not exist and will not exist. Forevermore, so it is. " I know that many people will be shocked to hear this, and perhaps judge me or believe that I am working for this agenda as well, and I would not blame them. But this is for myself and for any other Rockefeller kids who have experienced what I have. YOU ARE NOT CRAZY, YOU ARE NOT PARANOID, YOU ARE LOVED... AND THERE ARE BEINGS OUT THERE THAT LOVE YOU AND SUPPORT YOU.. AND WHEN TESE VEILS ARE COMPLETELY REMOVED... ALL WILL BE KNOWN. DO NOT HOLD ANGER IN YOUR HEARTS. OBSERVE IT... AND THEN LET IT GO. THE ONLY WAY THAT I COULD PROCESS THIS FACT WAS WRITING THIS TO ALL OF YOU HERE AND NOW. I HOPE THAT YOU WILL FIND IT IN YOUR HEARTS TO FORGIVE ANYONE WHO HAS HARMED, DECEIVED, MANIPULATED OR CONTROLLED YOU IN THIS OR ANY WAY... IF NO ONE ELSE, YOU HAVE ME. On the day she died in 1822, witnesses saw a white light rise from her body. It took the form of a wolf and then a swan. It fluttered about and then flew off in the direction of her beloved town of Chota. She was the last woman to receive the title of Beloved Woman until the late 20th century. I stand firm in faith and LOVE and believe in PEACE. JUST CLICK ON THE LINK ABOVE FOR THREE FREE MINUTES WITH ME!